Have a question or would like to make a booking? Call or email us or complete the form below. Where to find Airlie Boat Hire! 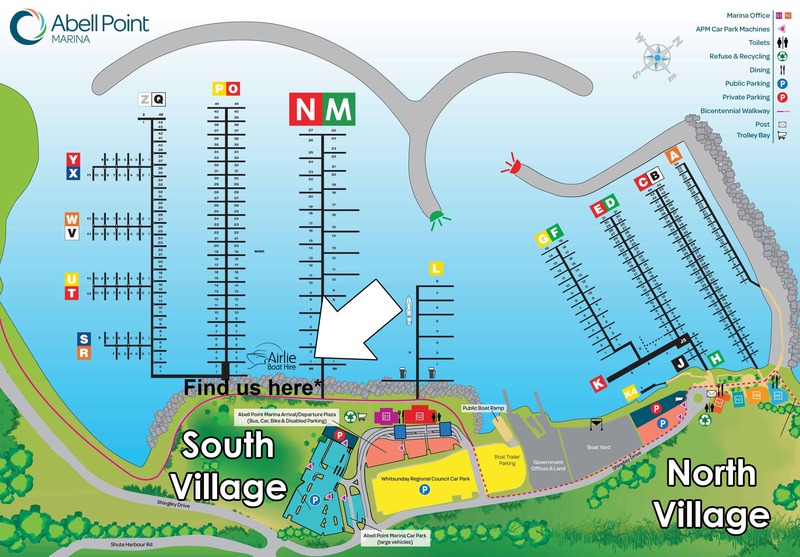 All our boats are located at our floating office at Abell Point Marina, South Village – Berth N00.